The Inaugural HOT METAL MUSICALS! Off with Her Maidenhead, book and lyrics by Amy Claussen, music by James Rushin. The dreams you wish do come true, so be careful what you wish for. . . . In this ultimate send-up of Disney princess movies, our mute orphaned heroine Justine, who lives in a nunnery, fails to get the happily-ever-after she wants from her fairy godmother. But she doesn't give up. Instead, Justine and her sisters solve their financial woes by turning the nunnery into a brothel, and in the process become the unlikely saviors of the kingdom. 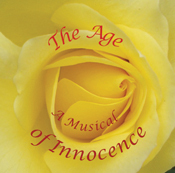 The Age of Innocence, music by Ted Kociolek, book and lyrics by Walter Holland and Ted Kociolek. The Age of Innocence is a musical adaptation of the classic novel by Edith Wharton and conceived as a fully-integrated "neo-operetta." 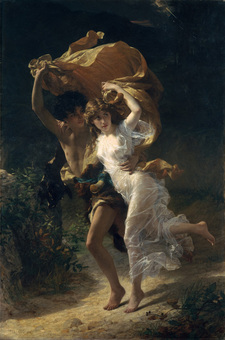 Set against the backdrop of Old New York, this story of forbidden love and repressed passions is "the most romantic of romances" and was lauded by the late Howard Kissel for its "gorgeous" score. [Best Imitation], book, lyrics, and music by Jeremy Richter. With a 6-pack of beer and a notepad, Jared sets in for an evening of solitude to work on his new musical . . . with “help” from the show’s four characters. 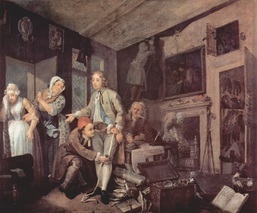 Frustrated and thoroughly unfulfilled by their prescribed intentions, the cast ardently competes for precious pages in order to be noticed, to express their true purpose, to break free from the imitations of themselves in order to ultimately change the course of one - (or is it five?) - story. book and lyrics by Frank Gagliano, music by James Rushin. It’s January 30,1990, and four disparate, desperate, young Russians — two gay men and a straight couple —fall in love when they meet for the first time at the opening in Moscow of the largest McDonald’s in the world. With the help of a magical Filet-O-Fish sandwich, they exit the restaurant together, to face a previously unknown Russian world, one not just frightening in its sense of change and openness but also hopeful and exciting. 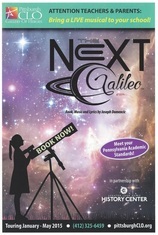 The Next Galileo, book, music, and lyrics by Joseph Domencic. 3M, 2W. Shy 13-year-old Gabriella takes an amazing journey back in time to work alongside "the father of modern science," Galileo Galilei, and in the process finds the courage to pursue her dreams. Currently touring middle schools with the Pittsburgh CLO's Gallery of Heroes program. Kitty, book by John Keating, music and lyrics by Sandra Lowell. 4M, 4W. Kitty, set in Ireland and England during the turbulent 1880s, presents the story of Irish Home Rule leader, Charles Stewart Parnell, and his lover, Katharine O’Shea, whose estranged husband, Willie, exploited his wife’s social connection to Parnell for his own political advancement. As Parnell is succeeding in his cause, Willie files for divorce. Once the scandal becomes public, Parnell is forced out of power, dooming the Home Rule movement but not the union of the lovers. Eastburn Avenue is the story of three generations of a modern, suburban family imploding over the imminent death of its matriarch. As seen through the eyes of eight-year-old Mollie, the youngest member of the Gordon-Brown clan, the mayhem that follows results in the erosion of relationships and ultimately, the collapse of family life as she knows it. Eastburn Avenue runs a thematic gamut from death, mental illness and sibling rivalry, to acceptance and forgiveness—all with a great deal of compassion and humor. This loose adaptation of Alexander Ostrovsky’s play, The Storm, is set in 1860 Russia in the town of Kalinov along the banks of the Volga River. It is one year before the emancipation of the serfs under Alexander II, and while life in this small town seems sedate and pleasant, there is an undercurrent of change, dissatisfaction and inequality brewing. The Earl of Chesterfield is the ultimate helicopter parent, so how is it that he knows nothing about his son's wife and two children? In this true story from 18th-century England, the fourth earl raises his illegitimate son to be a refined gentleman and scholar, but fails to take into account the overwhelming power of love. A twisted tale with music, puppets, and a failure to distinguish the forest from the trees. Lazarus, book, lyrics, and music by Chuck Sperry. 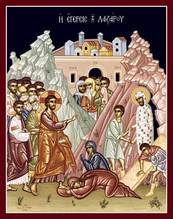 The show focuses on Mary, the contemplative sister of Lazarus, who was restored to life by Christ. Mary's faith in Christ slowly grows, is lost, then found again. The rock/pop score energizes and explodes the familiar story and leaves all at the end to "Dance In the Holy Light." A theatrical recital of original songs, poems and monologues by mezzo soprano and composer Eva Rainforth, Me, Myself, and Others ranges from the deeply disturbing to the poetically poignant. At times hilarious and at others thought provoking and beautiful, the subtle ‘theme’ of the piece is an imaginary out-of-the-box perspective on the people we meet, and the moments one has during life, after death, and just before birth. 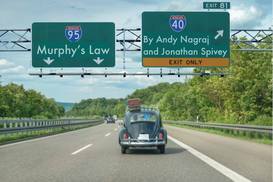 Andy Nagraj and Jonathan Spivey. Thirty-something Oregonian everyman Dave discovers one morning that everything that can possibly go wrong does. His parents announce their impending divorce, his boss lays him off, and he returns home to find his girlfriend in bed with another man. Desperate Dave takes his father's 1979 Volkswagen and hits the open road in the hope of finding clarity in his life. What he discovers instead is that Murphy's Law rules. In this darkly comic rock-fable, a melancholy sandwich maker's humdrum life is intersected by two entrancing sisters. 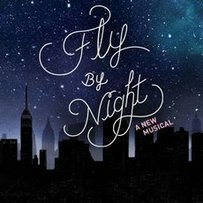 A sweeping ode to young love set against the backdrop of the northeast blackout of 1965, Fly By Night is a tale about making your way and discovering hope in a world beset by darkness. Howard Barnes is a perfectly average man in his early thirties, until the day that he wakes up to discover that his life has become a musical. Desperate to escape from the show, Howard embarks on a fantastical quest through the realm of musical theater. 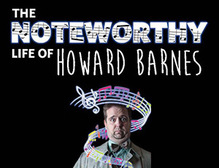 Equal parts satire, romantic comedy, and love letter to the American musical, The Noteworthy Life of Howard Barnes is intended for people who love musical theater, and their spouses who hate it.